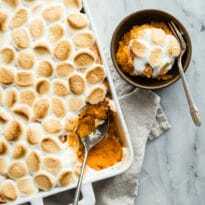 Updated Sweet Potato Casserole with Marshmallows is delicious without being too sweet or too soggy. 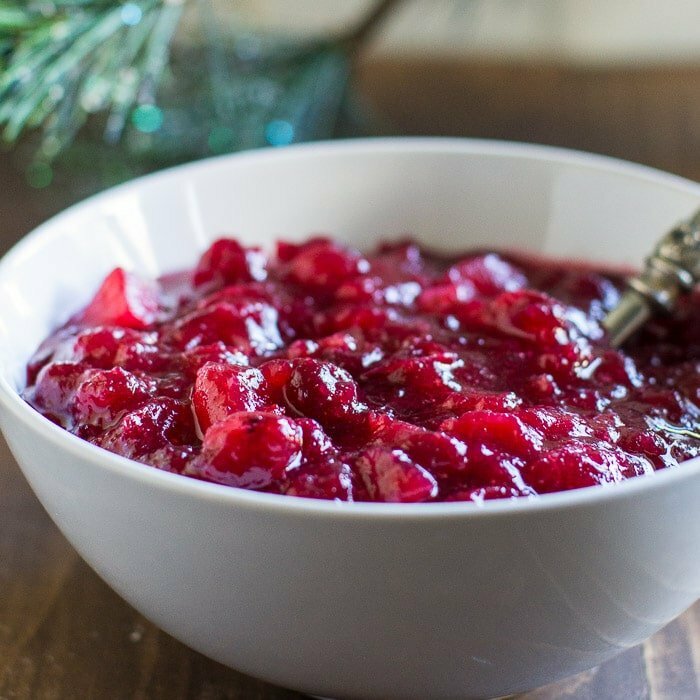 Add this classic Thanksgiving side dish to your menu! Sweet Potato Casserole has a lot of opportunities to go horribly wrong. 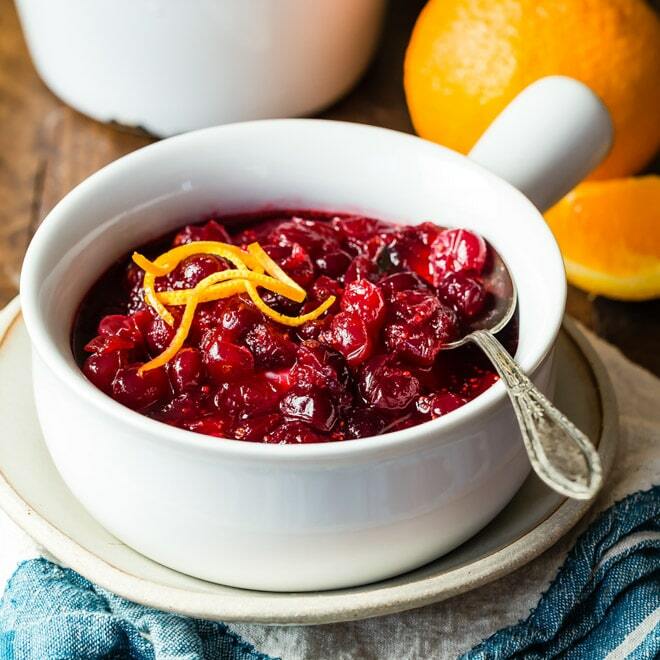 The mashed sweet potatoes can be water-logged and overpowered by cinnamon and nutmeg. The marshmallow topping can be chalky and dry. The whole thing can feel like an exercise in bad nostalgic cooking. 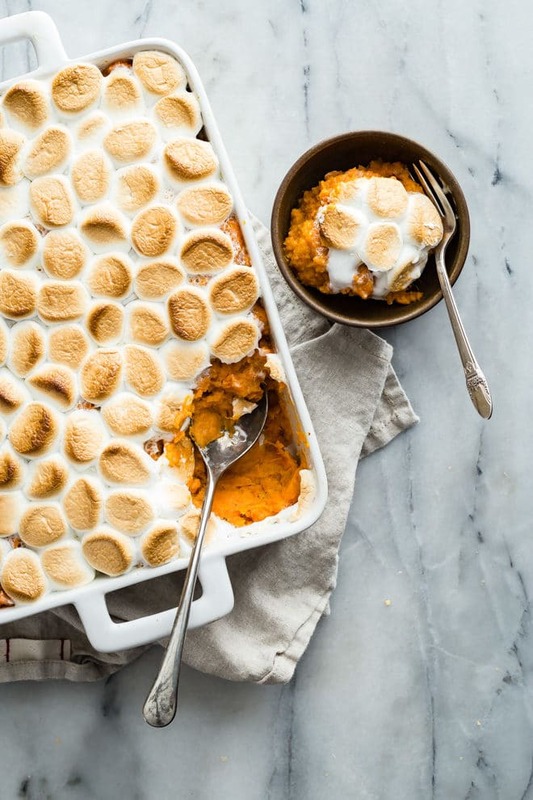 Or, Sweet Potato Casserole can be carefully balanced between savory and sweet with a crispy marshmallow topping that looks as good as it tastes. How do you cook sweet potatoes for casserole? The best way to cook sweet potatoes for casserole is to steam them in cream and butter instead of boiling them in water. 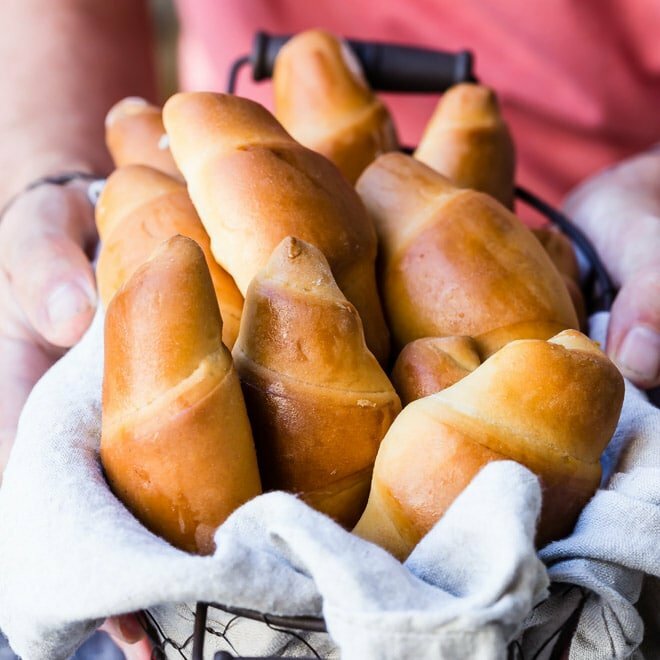 That way, they get more flavorful and have a firmer texture without getting water-logged. 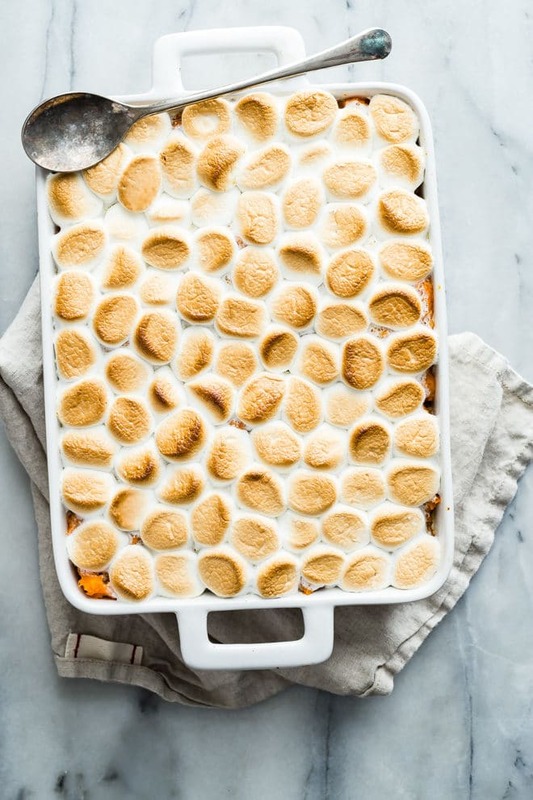 How do you make sweet potato casserole with marshmallows? Once the sweet potatoes are tender are creamy, stir in some cream cheese. I like the tanginess of cream cheese better than using more cream, evaporated milk, or eggs for thickening. Because mini marshmallows are coated in cornstarch to keep them from sticking together, they often bake up dry and chalky. Instead, use large marshmallows sliced in half (the same way you might slice up a hot dog, but just cut the marshmallows in to two pieces). 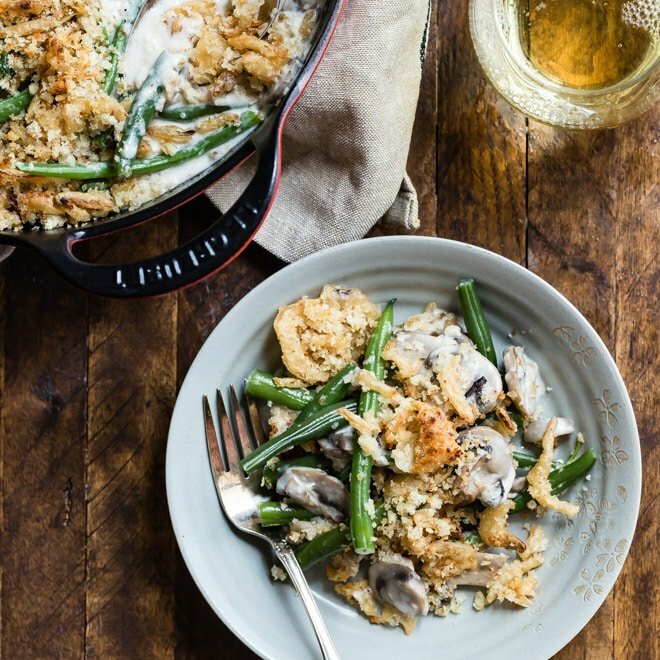 Save this Sweet Potato Casserole to your “Side Dishes” Pinterest board! In a dutch oven over medium heat, combine the sweet potatoes, heavy cream, butter, sugar, 1 1/2 teaspoons salt, and 3/4 teaspoon pepper. Bring to a simmer and cook covered until potatoes are soft and begin to breakdown, about 30 minutes. Reduce the heat to medium-low and cook the potatoes covered until the potatoes are tender and the liquid has been absorbed, about 25 minutes. Meanwhile heat the oven to 450 degrees and place the rack in the upper middle position. 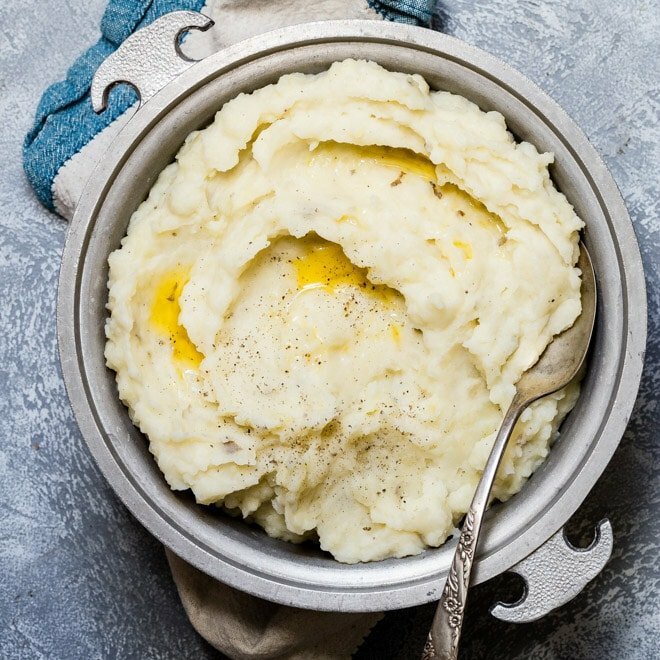 Add cream cheese to sweet potato mixture, and using a potato masher, mash until the cream cheese is thoroughly incorporated and the potatoes have become smooth. Stir constantly until potatoes are thickened, 5 minutes. 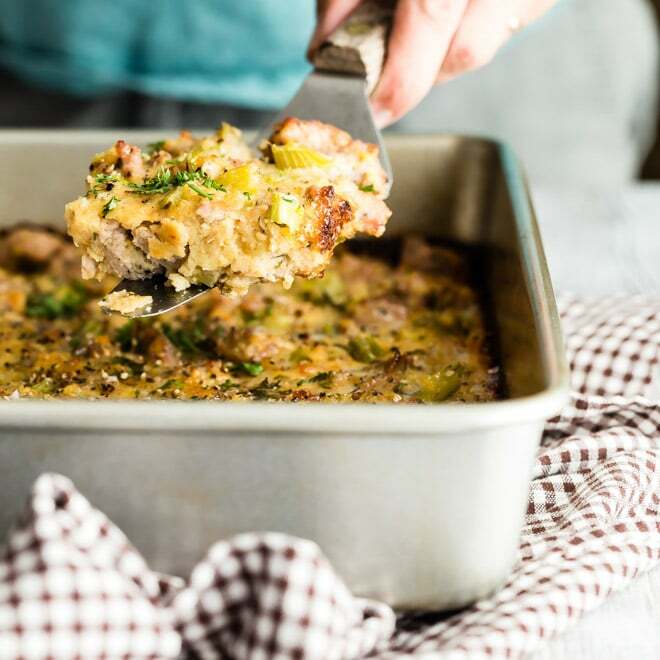 Remove from heat and carefully spoon the mixture into a 3-quart baking dish. Create a single layer of marshmallows on top of the sweet potato mixture. Bake until the marshmallows have browned, about 5 minutes. Serve. Wow. 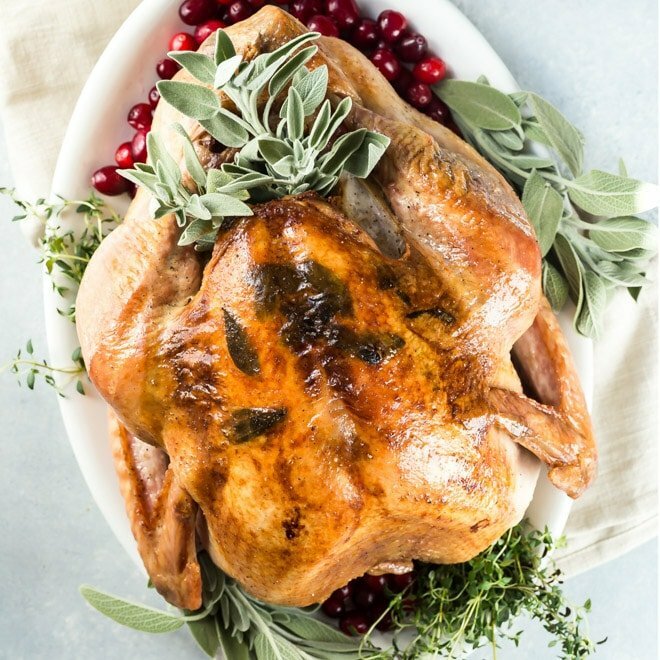 You are bringing back a flood of childhood memories with your series of “traditional to the max” thanksgiving recipes.